Brazil’s Rogerio Dutra Silva beat Horacio Zeballos to take the final of the second Santiago Challenger tennis tournament while the locals fell by the wayside. It took three sets for Dutra Silva to beat Zeballos, who was unable to repeat his Chilean heroics which saw a surprise victory over Rafael Nadal in 2013’s VTR Open. The Brazilian got off to a 7-5 start before conceding the second set 6-3, but was able to finish off the match with another 7-5 set, winning 7-5, 3-6, 7-5. Dutra Silva now has a slight 3-2 lead in the head to head battles with Zeballos. They have met surprisingly few times considering the first matchup was at Futures level in 2003. It is the second title of the year for the Brazilian, having already won the Prague Challenger earlier in 2015. 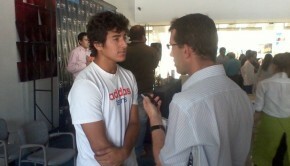 At 124, Dutra Silva is Brazil’s second highest ranked player. Zeballos (136) is only ranked slightly lower, but finds himself eighth among Argentina’s collection of leading tennis players. An injury saw Dutra Silva drop as low as 533 on the ATP rankings, but a run of victories has seen him return to the higher levels of tennis. Both finalists had kind words for the venue, Club de Polo y Equitación San Cristóbal, commenting that the tournament had been better than their previous attendances at the ATP events, which are no longer being run in Chile. The Latin Swing remains on the calendar for February, with Ecuador, Argentina, Brazil and Mexico all seeing action. Chile’s only hope on the final day was in the doubles, with Hans Podlipnik hoping to add to recent successes alongside Slovakia’s Andrej Martin. 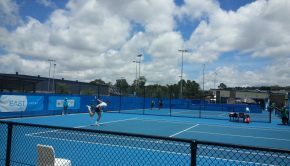 The pair won three Challenger titles together in Europe but were unable to overcome the Argentinean pairing of Guillermo Duran and Maximo Gonzalez, with the battle of the top seeds going the way of Argentina. 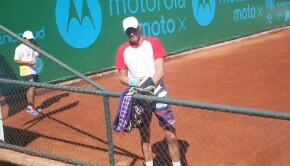 Podlipnik was the best of the Chileans in singles action, reaching the quarter-finals before defeat to Argentina’s Carlos Berlocq. Podlipnik (173) remains Chile’s top player, while Gonzalo Lama had a strong rise, jumping 28 places to 262 and third among Chileans. At 80, Podlipnik is also leading the doubles rankings. Duran and Podlipnik are among a number of players in equal second place among the most Challenger level victories for the year, with seven. Chile’s run of tournaments will head south, with three Futures events remaining for the year. 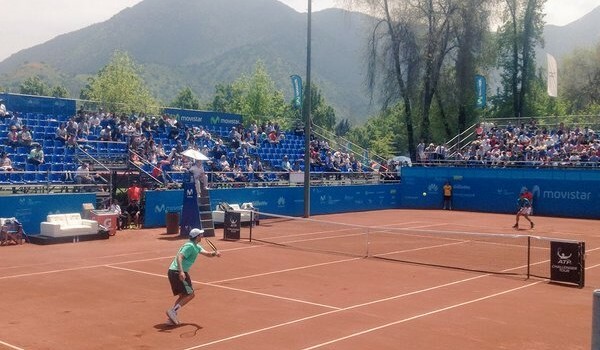 Temuco, Osorno and Puerto Montt will play host to the final tournaments of 2015 in Chile.